Last October, the nonprofit Wild Trails obtained a Volunteer Work Agreement from Bobby Fulcher—the head of the Cumberland Trail State Park—to lead the development in cutting the southernmost incomplete section of the Cumberland Trail (CT). The planned trail will stretch from Barker Camp Road at the end of the North Chickamauga Creek section to Hall Road, close to Taft Highway on Signal Mountain. The new 12.5 mile section, which is located on an extremely remote and beautiful mountainside just outside of Chattanooga, is a tremendous step toward making the Cumberland Trail a continuous path from its northern terminus in Cumberland Gap National Historical Park to its southern terminus on Signal Mountain just outside Chattanooga. Once fully completed, the trail will stretch more than 300 miles. Overall, the CT is a remote, backcountry trail that travels through 11 Tennessee counties on lands managed by Tennessee’s Departments of Environment and Conservation (TDEC), Tennessee Wildlife Resources Agency (TWRA), and Tennessee Forestry. It connects two national parks and passes through a National Wild & Scenic River area; it is Tennessee’s first linear state park, and now its second largest state park. The scope and beauty of the CT extend beyond the state of Tennessee, as the trail will provide an integral portion of the Great Eastern Trail, which is under development and will extend from Alabama to New York. The new section on Signal Mountain embraces much of what the trail is known for in its entirety—a diverse, meandering, historic trail that follows and honors the high ridges and deep gorges of the rugged, eastern edge of Tennessee’s Cumberland Plateau—and it offers a unique wilderness experience as a result of its many scenic vistas, waterfalls, landscapes, gorges, wildlife, and widely varying flora. 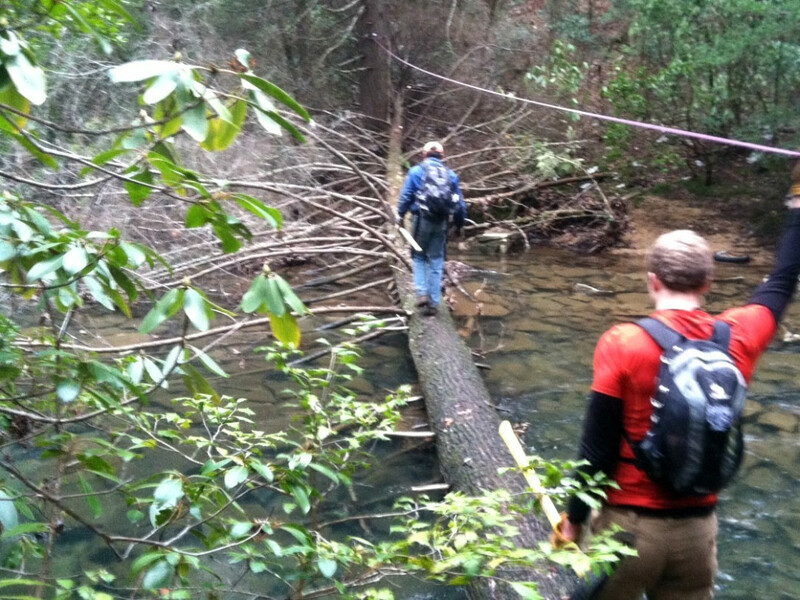 Wild Trails plans to have nine miles of the trail rough cut by July. Limited work will continue over the late summer and return with focus in late September. The remaining 3.5 miles will be worked on from early fall through the end of the 2015 and into winter. The first phase is mapping and marking the course. An initial clearing process involves trimming shrubs and trees back to adhere to the three-foot wide minimum corridor per the Cumberland’s standard. 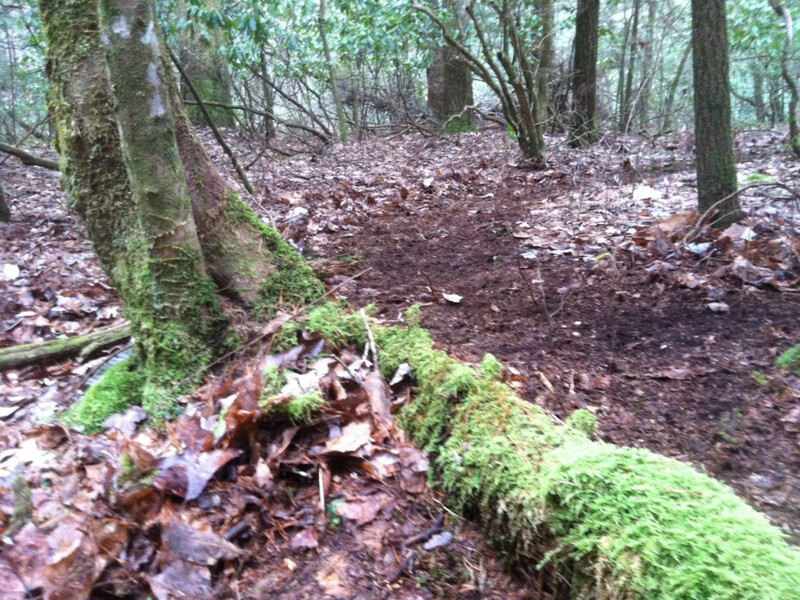 Brush and downed trees are removed and then surface organic duff is removed to expose the trail bed. Sometimes the desired three-foot corridor is impossible to manage and the trail must be narrower. Volunteers will also move rocks to form steps and drainage areas will be managed to minimize human impact. 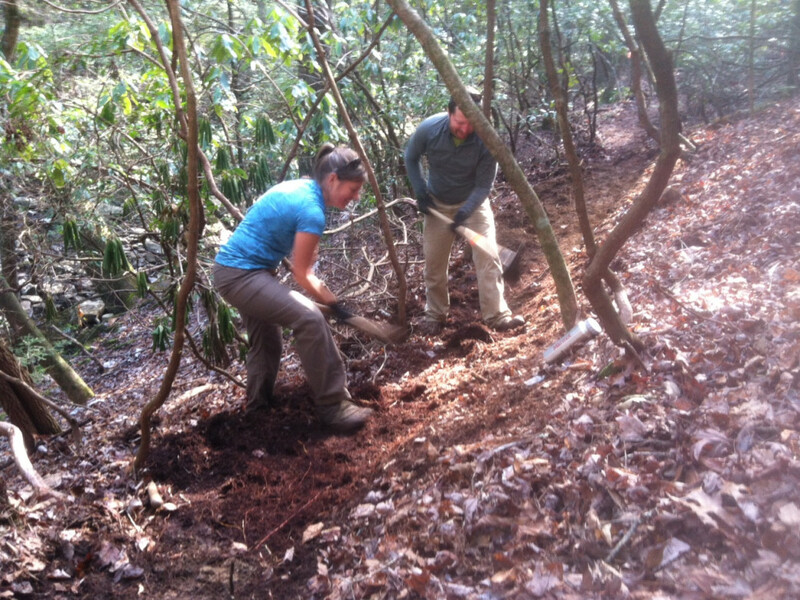 Once all of the trail is cut, volunteers will go back over the area and improve the quality of the trail by minimizing cant (the slope of a surface) and increasing the hinge (the portion of the trail that is closest to the hillside) to ensure the life of the trail and decrease erosion. Plenty of groups have already been involved in working on the new Cumberland segment—ranging from formal organizations like the Crash Pad, Patagonia (via local Sales Rep Matt Sims), Redpoint Sales, and Goodhew, to more casual groups of friends from various walks of life who just want to get out and spend a day working on a project that positively impacts the community. 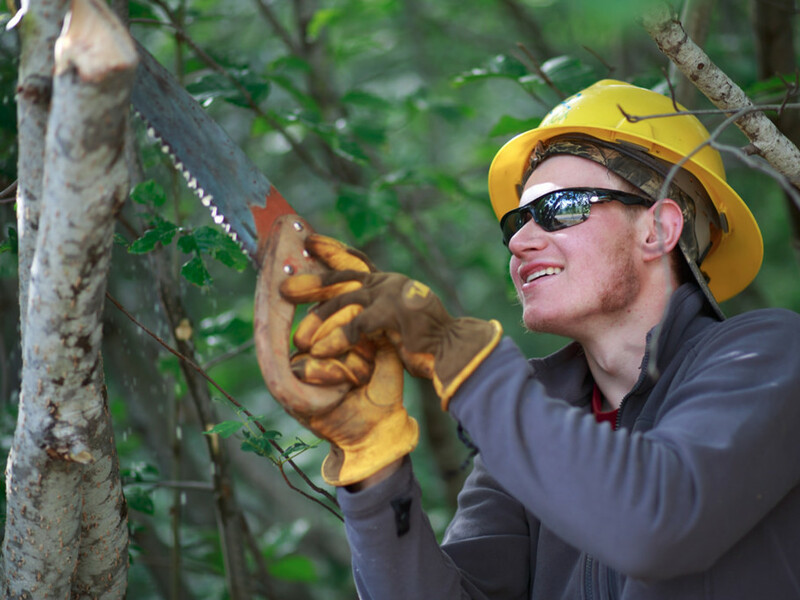 These latter, less formal groups can contact Wild Trails to learn about the particulars involved with joining or planning a trail maintenance day. “A day or two—or even a few hours working on the Cumberland Trail—is sure to offer something unique in terms of scenery, whether it’s a boulder field or a waterfall or a beautiful grove of trees covered in moss,” Whorton says. 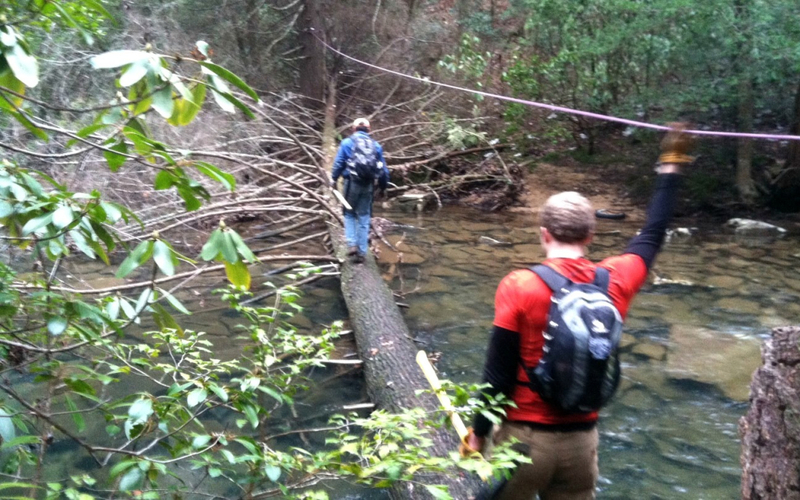 Wild Trails and CTST continuously host volunteer days and opportunities. Contact information and volunteer signup is available through both websites.